The climate is changing behavior. 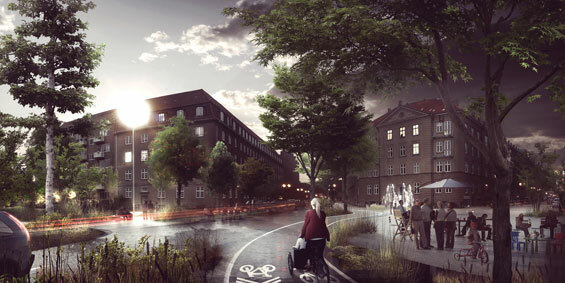 The Copenhageners can look forward to fewer but heavier rain showers, as the city has already been experiencing over the last two summers. 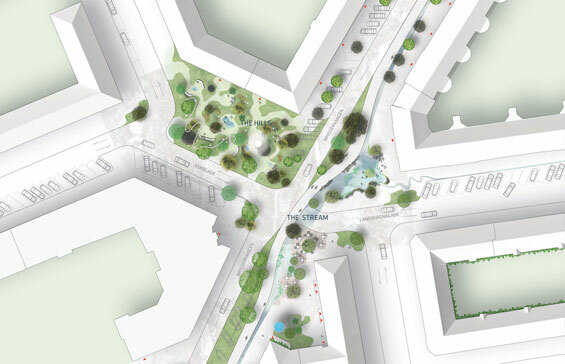 In Saint Kjeld’s Neighborhood a comprehensive urban development project seeks to demonstrate how the city can be arranged so rainwater can be managed in the streets in a more natural and effective way. 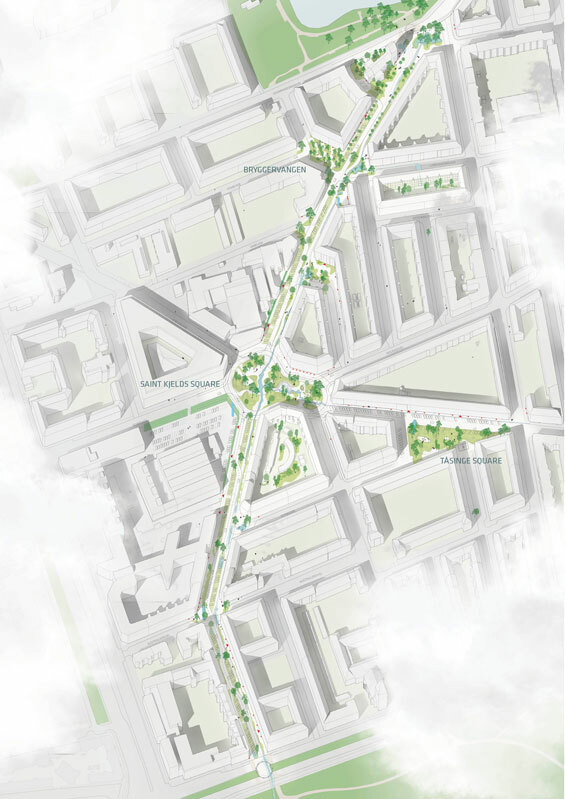 The project was designed by the newly established architectural firm TREDJE NATUR, and promotes new solutions for how we adapt to the climate changes and develop our cities. 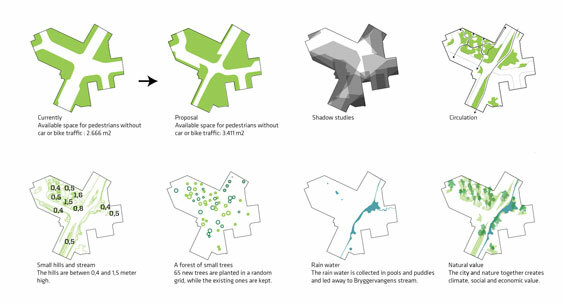 parameter not to compromise the city’s existing functions. 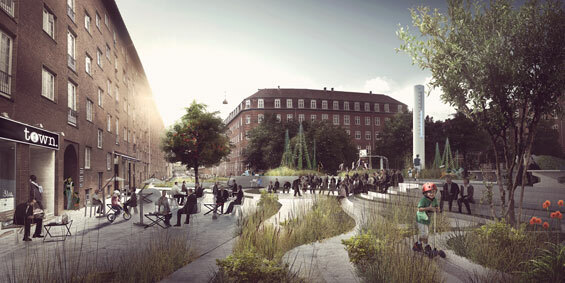 In the large urban spaces, such as Saint Kjeld’s Square and Tåsinge Square the office has put a great effort into creating new kinds of urban experiences founded in the city’s and nature’s changeability. 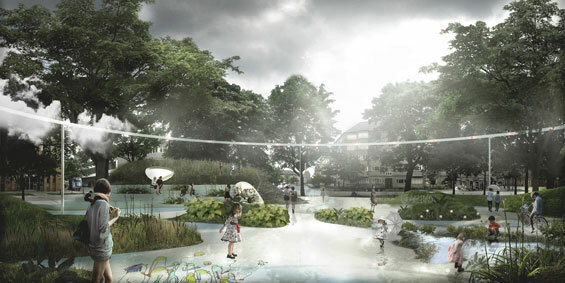 A gigantic floating ring sprays a cooling rain mist out on the hot summer days, hundreds of plant species secures an attractive nature all year round and a hilly terrain invites you to play and stay. 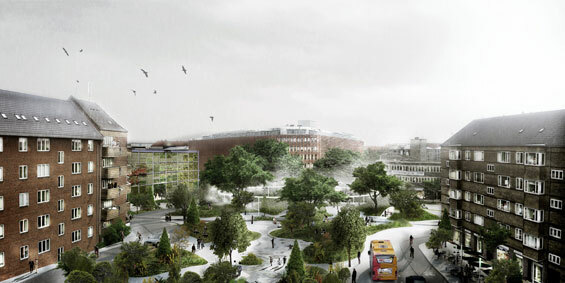 “At Saint Kjeld’s Square and Tåsinge Square we optimize the terrain effectively doubling the urban space’s surface area. 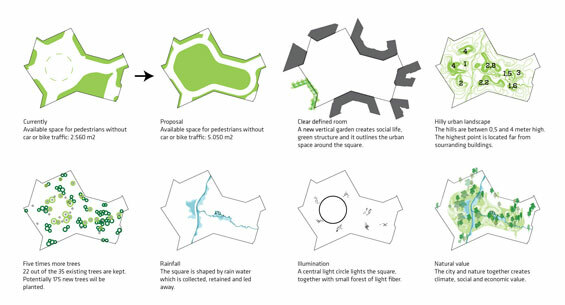 This provides new space for a comprehensive volume of natural value, a better micro-climate and hence more urban life and better rain water management. 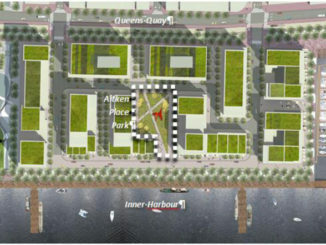 The large spaces will be both striking and natural hot spots in the district. 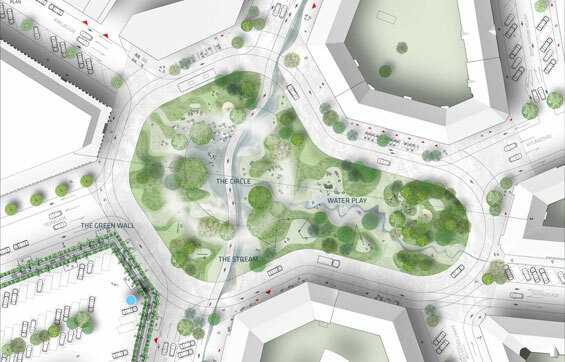 It is also possible to integrate new cafes and playgrounds in the optimized terrain,” says Partner in TREDJE NATUR, Flemming Rafn Thomsen.